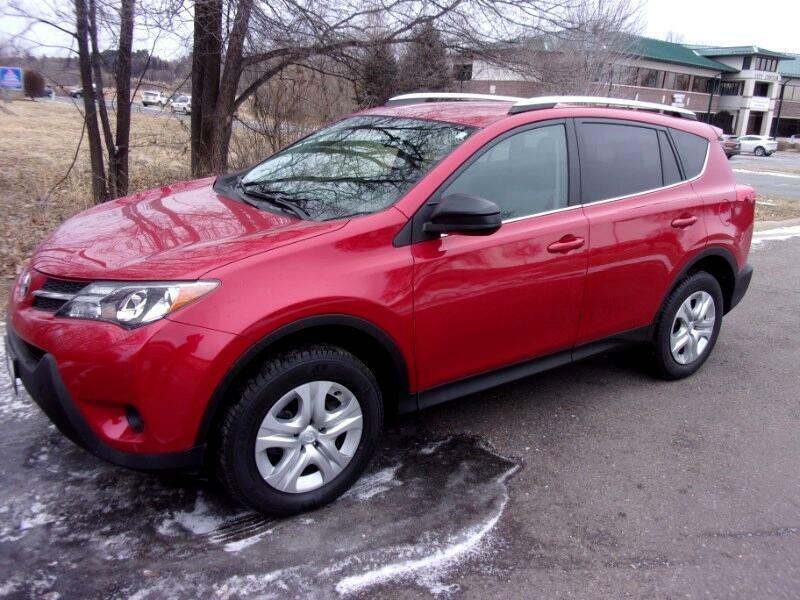 Used 2015 Toyota RAV4 LE FWD for Sale in Vadnais Heights MN 55110 Integrity Autosource Inc.
A GREAT BUY ON A LOW MILEAGE ONE OWNER SUV WITH FACTORY WARRANTY! CARFAX CERTIFIED ACCIDENT FREE ONE OWNER LEASE RETURN. IN LIKE NEW CONDITION, MECHANICALLY INSPECTED AND UP TO DATE ON MAINTENANCE. WELL EQUIPPED LE MODEL WITH POWER WINDOWS, LOCKS AND MIRRORS, TILT AND TELESCOPING STEERING WHEEL, CRUISE CONTROL, BACK UP CAMERA, BLUETOOTH AND MORE. A GREAT VALUE WITH SUPER LOW MILES! WE TAKE TRADE INS AND HAVE GREAT FINANCING TOO. IN BUSINESS IN THE SAME LOCATION FOR 23 YEARS.